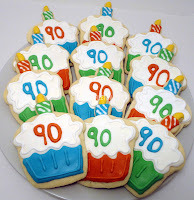 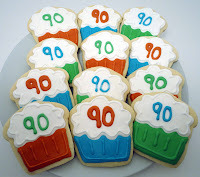 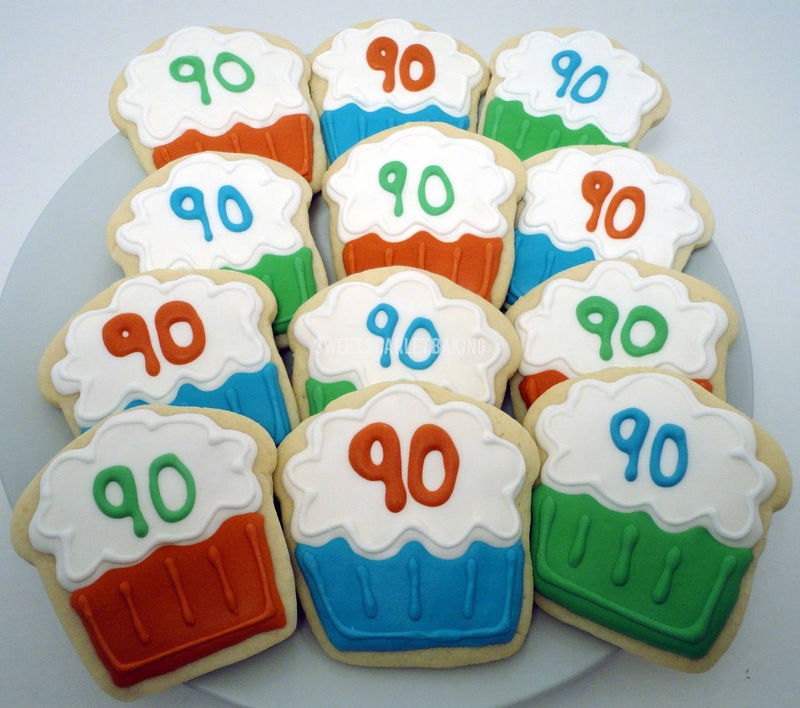 My husband's Grandpa is turning 90! 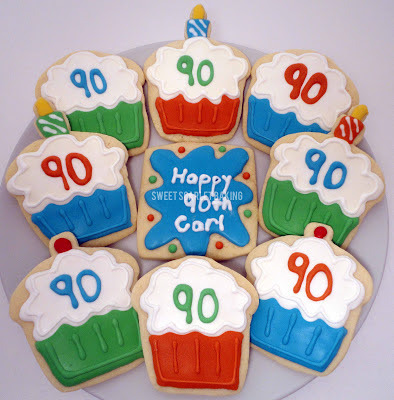 My mother-in-law asked me to design cupcake shaped decorated sugar cookies to help him celebrate with all of his friends. I was inspired by these from Glorious Treats. 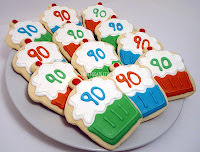 These fluffy cupcakes can be designed three ways: plain, cherry on top or birthday candle.